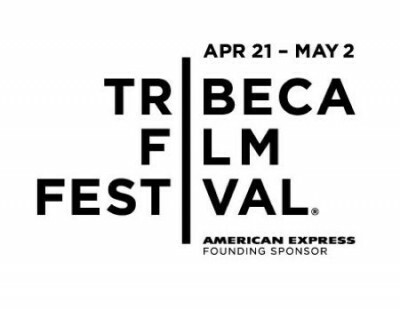 After 12 days and 85 features films (plus 47 shorts), the 2010 Tribeca Film Festival has drawn to a close. It was my second year covering the fest, and I had a terrific time taking in another slate of (mostly) fantastic films. While my total of 38 films seen and reviewed came up a little short of my 50% goal, I did manage to match up a little better with the award winners this time; last year, when the awards were announced, I hadn’t seen a damned one of them. And though I missed Best Narrative Feature winner When We Leave, Best New York Documentary The Woodmans, and Heineken Audience Award Winner Rush: Beyond the Lighted Stage, I did manage to check out Best Docuentary winner Monica & David, Best New York Narrative winner Monogamy, and Best New Narrative Filmmaker winner Kim Capiron’s Dog Pound (though “new” appears to be a relative term, as Capiron also directed the 2006 feature Sheitan). In terms of general trends, the festival remains strongest as a showcase for documentaries—and I didn’t even see several of the high-profile docs, like the omnibus adaptation of Freakonomics, Alex Gibney’s Untitled Elliot Spitzer Documentary, and Ice Cube’s Straight Out of L.A—and world narrative entries were acclaimed as well. American narrative selections remain the festival’s weakest area; the selection committee too frequently favors star power over quality, so just as we had inexplicable inclusions like Stay Cool and Serious Moonlight last year, I can’t imagine why anyone thought that My Own Love Song had any place at this festival, except if it meant getting Renee Zellweger and Forest Whitaker onto the red carpet. 1. Micmacs: A delightful little fun house of a movie and a welcome return to form for the playful French filmmaker Jean-Pierre Jeunet (Amelie). It’s an utterly charming picture that takes a dark tale and puts a whiz-bang spin on it—a valentine to the cinema, particularly to the silent comedies of Chaplin and Keaton, full of clever bits and go-for-broke sight gags. 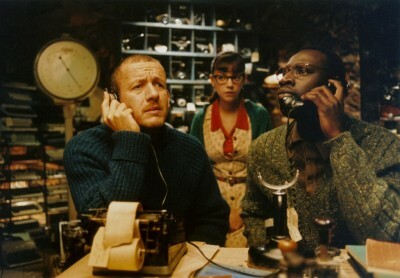 Jeunet is up to something tricky here—he savvily navigates whimsical comedy with gunplay and explosions, and I can’t think of a single other filmmaker who’s done that (or, frankly, one crazy enough to try it). The results are masterful. Micmacs is a real treat. 2. Please Give: Nicole Holofcener’s smart and poignant comedy/drama uncoils slowly and deliberately, carefully establishing the characters’ specific personalities in the opening scenes, then slyly slamming them into each other to see what happens. The narrative is compelling, but it’s not in a rush; Holofcener is a confident, controlled filmmaker, and every detail is just right. Her writing and direction also excels at looking potentially melodramatic situations right in the face, and dealing with them practically—she sets up situations and scenes that never play as dopey or soapy as they might. It’s a solid piece of work from an exceedingly underrated filmmaker. 3. Joan Rivers: A Piece of Work: Ricki Stern and Anne Sundeberg’s extraordinary documentary profile spends a full year with the comic legend, an artist struggling with her own relevance, her vulnerability, and her public image. Their access to Rivers was apparently unlimited, and the Botox-and-all portrait that emerges is furiously funny, startlingly candid, and fast-paced without being shallow. It’s a sharp, terrific doc, a film that made me rethink my indifference towards its subject, and pulled me in close to her odd, prickly world. 4. Get Low: I like movies that catch you off-guard like this one does. Robert Duvall continues to amaze me; he's reached that magical age for an older actor, where they've been doing it so long, it becomes second nature. Bill Murray is splendidly funny, but in a legitimate and unselfish way--he's never funny outside of the character, nor does he merely transform his character into a "Bill Murray type." Sissy Spacek and Lucas Black are flawless in supporting roles. The picture’s many fine elements--those down-to-the-bone performances, the rustic photography, the jangly yet mournful score--come together masterfully in its closing scenes, which hold the audience in spellbound silence. 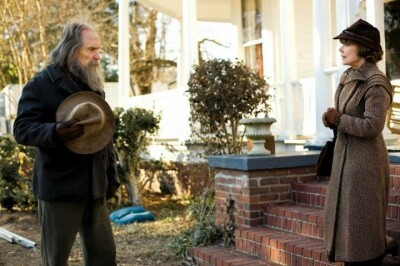 It’s a wonderful film. 5. Monogamy: Dana Adam Shapiro’s low-key drama is that rarest of beasts, an actual grown-up movie about sexual desire, repression, and obsession. Chris Messina and Rashida Jones are astonishingly good in the leading roles, sharing an easy, relaxed chemistry and a sense of shared history—their dialogue has the natural rhythms of actual overheard conversation, full of inside jokes and shared history. Later in the film, when they have a fight, it feels like the real thing; the climactic scenes have the emotional brutality of a Cassavetes picture. RUNNERS-UP: Other particularly good films included Ondine, Dog Pound, Snap, Sons of Perdition, The Infidel, Zonad, Beware the Gonzo, Gerrymandering, My Brothers, My Trip to Al-Qaeda, and The Trotsky. GREATISH PERFORMANCES: Casey Affleck in The Killer Inside Me, Rashida Jones and Chris Messina in Monogamy, Melissa Leo in The Space Between, Adam Butcher in Dog Pound, Aisling O’Sullivan in Snap, Kim Cattrall in Meet Monica Velour, Collin Farrell in Ondine, Kerry Bishé in Nice Guy Johnny, Omid Djalili in The Infidel, and the entire ensembles of Get Low and Please Give. NOT-SO-GREATISH PERFORMANCES: Matt Bush in Nice Guy Johnny, Rachel Nichols in Meskada, Forest Whitaker in My Own Love Song. Thanks again to all of the nice folks at Tribeca for making DVD Talk so welcome, and for putting on such a lovely shindig. See you next year!